Cabriolet or Targa? Find the perfect used Porsche 911 for summer driving. It’s reached that time of year when you can daydream about cruising round Britain’s rural roads with the roof down and the sun (occasionally) streaming in. A Porsche Boxster is ideal for this kind of relaxed summer motoring, but if you want extra power you face a choice of used 911s - Cabriolet or Targa? Both offer an exhilarating open-air driving experience, but they look and feel very different. They also tend to provoke strong opinions from Porsche ‘purists’, but don’t let that put you off if you’ve set your heart on some top-down motoring. Many drivers love the idea of combining Porsche performance with drop top style, but the manufacturer was seemingly less keen and the 911 was 19 years old before the first Cabriolet version was launched in 1983. It proved to be a hit and its sales figures soon outstripped those of the Targa – something that has continued to this day. The great thing about the popularity of the Cabriolet is that there are plenty available on the used market at affordable prices. If you are happy to put some work into your car search, you should be able to find an early 996 for less than £10,000 – about the same as a five-year-old Mazda MX5. Although at that price, it is sensible to pay for an expert assessment of the Porsche’s condition before completing the deal. 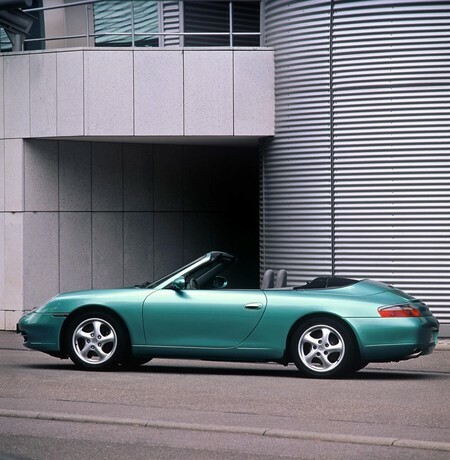 An early 996 Cabriolet is the most affordable 911 drop top. If you want the thrills and noise of being exposed to the elements while driving, but are on a budget, a 1999 996 Carrera Cabriolet will almost certainly be the most suitable 911 option. The previous 993 generation is starting to fetch classic prices and even the earliest of the subsequent 997s still cost upwards of £25,000. There are lots of things to look out for when inspecting and test driving any model of 996, but the roof shouldn’t cause you too many additional worries. 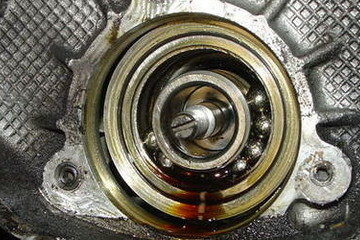 The mechanism has proved very reliable and most problems are solved by either changing the hydraulic fluid or replacing the latch. If the mechanism works smoothly, the only other roof-related check you need to make is for crazing or damage to the rear screen, which usually means it needs to be replaced. One thing to watch out for when buying a used 996 Cabriolet is sellers trying to charge extra for a hardtop. All came with a hardtop when new, so sellers should not be trying to market it as an option to push the price up. 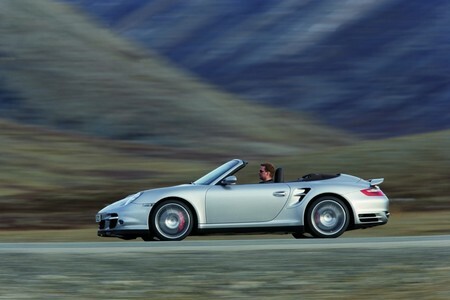 If you opt for a 997 Cabriolet, you will be buying a great car. It launched in late 2004 with two and four-wheel drive versions of the Carrera and S models, while a Turbo Cabriolet was released in 2007. A second generation of the 997 arrived in 2009, complete with direct fuel injection, but the updated version commands an eye-watering price on the used market. Used 997 Turbo Cabriolets have held their value well. The early 997s still benefit from a supremely slick hood system and folding mechanism that can raise or lower the roof in 20 seconds at speeds of up to 31mph. This has proved to be extremely reliable and, along with the redesigned rainwater ducts that ensure leaks are a rarity, means that the Cabriolet’s roof should not be a problem. One last thing to remember about any 911 Cabriolet before you take it for a test drive is that drop tops weigh more than Coupes, so you cannot expect quite the same level of performance. The difference is greater in the 996 than the 997, but both should still provide an exciting experience behind the wheel. If you are concerned about the performance of a 911 Cabriolet you are interested in buying, or just want an expert view on the condition of the car, a pre-purchase inspection at Revolution Porsche’s Brighouse workshop will give you peace of mind or perhaps prevent you from making an expensive mistake. The Targa splits opinion among Porsche fanatics, with some claiming it isn’t a proper 911 and others loving the unique character of the design – or at least some versions of the design. This difference of opinion is reflected in used values and Targas are often cheaper than equivalent Coupes, despite there being less of them available. That alone can make them a very attractive option. Their other major selling point is that while they provide Cabriolet-like airiness and the chance to enjoy the sun, you feel much less exposed when travelling at speed in a 911 Targa than in a conventional drop top. Many people also like the styling of the Targa, particularly of the late-1960s models (once Porsche had replaced the zip-in plastic rear screen of the original with fixed rear glass), the stunning mid-1970s versions and the slick 964. All those had a removable roof panel, which created the classic Targa look, something Porsche has gone close to recreating with the automatic roof of the 991 (from £87,000 new). The most common examples on the used market have a very different look though, with the removable panel replaced by a panoramic glass roof. The Porsche 993 range featured the first Targa with a full-sized sliding glass roof section (slightly reminiscent of a giant sunroof) instead of a removable panel. Many owners loved both the look and the performance, but others were less happy because of problems with the roof jamming. As the mechanism for opening and closing it is unusually complex, repairs are expensive and can only realistically be carried out by technicians with specialist knowledge. If you are thinking of buying a used 993 Targa, it is crucial to check that the mechanism is working correctly when you inspect the car – preferably more than once. Also ask the seller whether the roof has ever been repaired and, if so, to see all the detailed invoices for the work (although you should always ask to see all service and repair invoices before buying any used Porsche to get an idea of how well it has been maintained and whether common issues have been dealt with). Repeated roof mechanism repairs may be a sign that problems still exist. Also listen carefully for rattles coming from the roof. 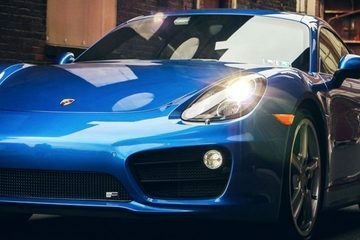 Minor rattles are unlikely to be a signal of a big problem and can usually be sorted out by asking a Porsche specialist to make some small adjustments. Water ingress from the roof can also be an issue, but the cause is normally just a blocked drainage channel. 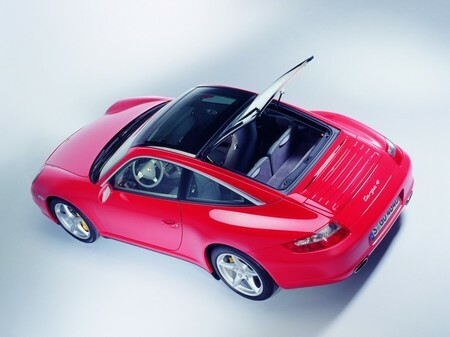 When the 996 Targa arrived in 2002, it featured both an electric sliding glass roof and hatchback-style opening rear window. It is light and bright with the roof up, with the heavily smoked glass effective in preventing a greenhouse effect when the sun is out. With the glass open, you will enjoy the sensation of drop-top motoring but the clever design of the wind deflector ensures you will avoid excessive noise and buffeting. The 996 Targa roof mechanism has proved reliable. The 996 range has not held its value as well as other 911s – perhaps because its water-cooled engines ended the marque’s tradition – and used examples in a good condition represent excellent value for money. This is particularly true of the Targa and there are some great cars available for less than £15,000. There are pitfalls to look out for when buying a used 996 (see our buyer’s guide for more details), but the Targa should not give you any extra worries. Problems with the roof mechanism are rare and minor rattles from the glass panels can be fixed. 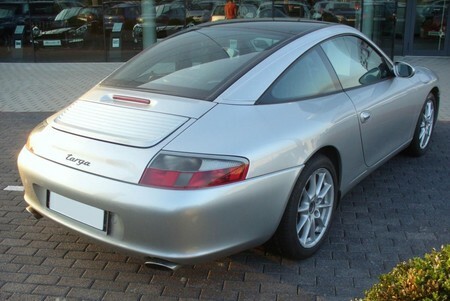 The 997 Targa, introduced in late 2005, kept both the electric sliding glass roof and hatchback-style opening rear window. But there was a major change – it was four-wheel drive, with a choice of either a 321bhp 3.6-litre or 355bhp 3.8-litre engine. The 997 Targa uses a softer spring set-up for improved ride quality. With the roof adding 60kg to the car, the Targa does not have quite the same performance levels as 997 Coupes, but both versions are still a fantastic drive and are more than quick enough for the road. As a softer spring set-up is used than in the Coupe, the Targa boasts a more comfortable ride. It also has more luggage space – although if that is a priority, maybe a 911 is not the right German car for you! The one downside is that the roof panel and rear screen panel have a tendency to rattle and squeak, particularly on poor road surfaces. The roof mechanism has, however, proved to be reliable and should not cause you too many worries when you test drive a used 997 Targa. Shop around and you can pick up an early 997 Targa for under £30,000 and a 2008 model for less than £40,000. Invest in a pre-purchase inspection at our Brighouse workshop and you can make sure it is in the condition needed to give you years of enjoyable driving. An inspection by our fully trained Porsche technicians, which features full visual and diagnostic checks, including Rev Ranges, and a comprehensive condition report costs from £150 +VAT, with a borescope inspection also available from a further £99 +VAT. Calls us on 01484 717342 or contact us via the website to find out more or to book a car in.